Personalized Address Plaque with Monogrammed Golf Ball - - 15.75" x 9.25" arch address sign features a golf ball monogram above the 2 line address. Made in USA. Line 1 holds one 1.25" monogram character. Line 2 holds up to five 3" characters. Line 3 holds up to seventeen 1.25" characters. 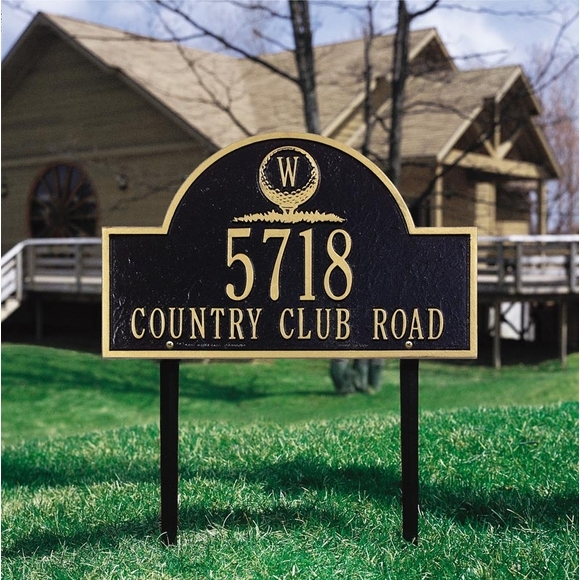 Arch shape address sign for a golfer features a golf ball with your initial on it.